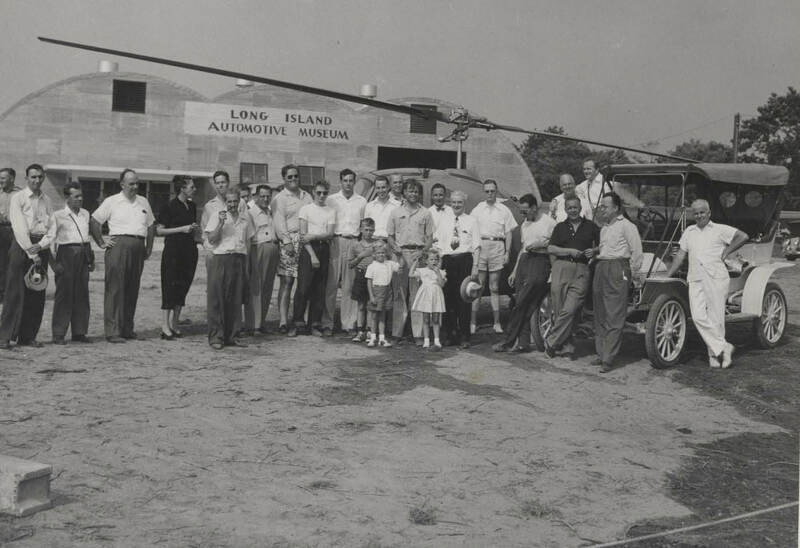 The quarterly publication of the Metro Region of the Classic Car Club of America Metropolitan Skyline published three articles in 2010 on Henry Austin Clark, Jr. and the Long Island Automotive Museum. PDFs of the first two articles are provided below with permission from Skyline's editor Grace Gluck. After 15 years of operation, Clark decided it was no longer financially feasible to keep the museum open to the public, so he decided to reduce his collection to modest proportions. He set the sale for June 22, 1963, selling most of his cars, while retaining a group of favorites for his private collection. The auction attracted collectors with a broad spectrum of interests. Not much was reported about the auction event because that was the way Clark wanted it. He did not want the media frenzy that occurred the year before at the auction of the collection of Wallace C. Bird, also of Long Island. At Clark's auction, no information was reported regarding the names of buyers, the auction was shrouded in secrecy, and now after 45 years when the seller and many of the buyers have died, some information is finally surfacing. Most of the cars were unrestored originals. In the early sixties the hobby was still in its infancy and was . far from the big business and multi-million dollar bids of today. A few of the cars and their selling prices were: 1899 Panhard et Levassor--$2,200; 1914 Pierce-Arrow 7 Passenger Touring-$7,700 (which was an astronomical figure in 1963, thought by many that it would never be worth that amount and that the cars had peaked in value-how wrong they were! ); 1917 Cadillac Victoria Touring-$2,200; and the bargain of the day was a 1929 Essex Super Six Sedan--$70. The last summer in Sagaponack for my family was 1956, although my aunt, uncle and cousins continued to rent the old house every summer until my aunt died in 1974. 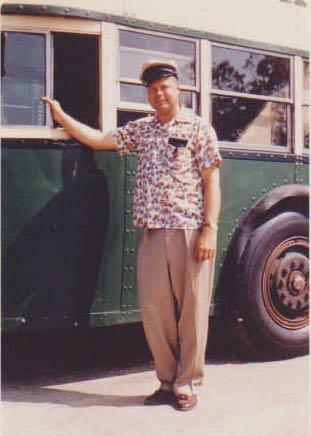 After I got my driver's license in 1963, I made regular trips out there and almost always stopped at the museum to see Austie (and the cars, of course!). On one of those visits in the early Seventies Austie took me for a thrilling ride in his Mercer Raceabout over the narrow, twisting roads north of the museum. He drove at speeds considerably above the speed limit and sitting on what was not much more than a bare chassis, it seemed more like rocket speed. At one point, we roared, with the cutout open, past a modern Cadillac and Austie had a couple of choice unprintable words about people who dared get in his way. Tomorrow, Grace Gluck will describe the 1963 and 1980 auctions at the Long Island Automotive Museum documented with rare photos taken by Norman Arbour. Thanks to Grace Gluck, Frank Wemple and the Metro Region of the CCCA for their contributions to VanderbiltCupRaces.com. went there many times in the 60s and 70s,remember the Wicker Fiat and Bugatti.Also the crates of old Ford part-model t?-in the back barn. I just noticed the info above about the closing of the museum was 1963, I do not think that is accurate since I did work for him the summer of 1963 and 1964. The museum was open to the public then and part of my duties was to give rides to the entrants on one of the fire trucks. He had sold some cars at that point but, the museum was open to the public. I believe the curved dash Oldsmobile was put on the roof of the museum as an advertising attraction. Great reading all the blogs and seeing the various pictures posted on your site. Thanks. The museum officially closed its doors in 1980. I believe I have a film of one of the fire truck rides. Maybe it is you driving! Will post sometine this month.